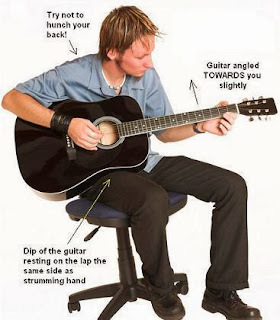 We need to first learn how to hold guitar as it's very important. We want to see the frets all the time so guitar should be slightly angled. After holding guitar just go through parts of guitar. You want to also learn how to hold pick. Try pressing any fret and play guitar. I know your guitar is not sounding great but, it will.